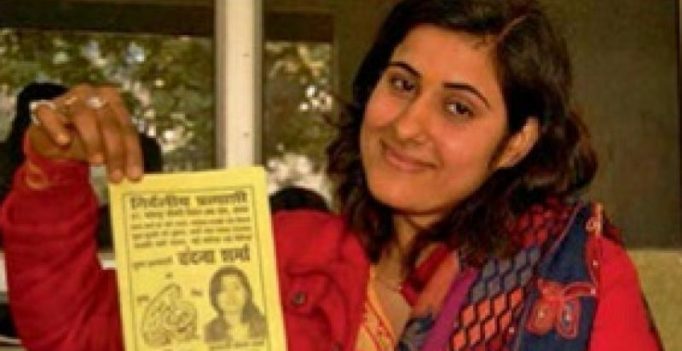 Lucknow: At an age when most girls dream of a fairy tale wedding and a handsome husband, this 25-year-old girl is contesting elections to ward off marriage. Vandana Sharma, an independent candidate from Fatehpur Sikri, rode alone on her scooty to the district headquarters, about 40 km from her village, to file her nomination as an Independent. “I have no illusions about the result because I know I am contesting against money and muscle power. But I want to make my point,” she said. Ms Sharma, who is pursuing graduation from Agra College, said her family feels it is the right time for her to get married. “I want to do something on my own before getting married. Family pressure was increasing, so I thought that maybe I could contest elections and make them realise that I want to do something on my own,” she said. Her family initially disapproved of her decision, but now her brother Sushil has joined her campaign. Her father, a farmer, declined to talk about his daughter’s initiative. Ms Sharma, wearing a helmet and a jacket, is touring the constituency on her scooty and focussing on women voters. “My own village, Nagla Brahman, has no basic amenities. There are no colleges nearby. Girls are not expected to step out of their homes without a male member accompanying them. 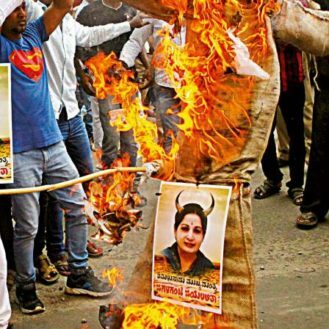 People talk of development but no one works for empowerment of women,” she said. She said she is getting a good response from women and the youth.